Firstly, this is a book review on John Newton, the Pastor. You know, the one who wrote the hymn Amazing Grace (…that saves a wretch like meeeeeee.). Few people might confuse him with Isaac Newton, the inventor; but they are not the same person. Now that I’ve got that out of the way, let’s begin. However, in the year 1748, while on a cargo ship called Greyhound, a storm hit. Faced with starvation and death by drowning, he said aloud, “If this will not do, the Lord have mercy on us.” That moment marked the beginning of his turning. Newton survived the storm alongside few others and became a Christian. He grew in the Lord, befriended George Whitefield and John Wesley and became a Pastor. Also, his first-hand experience with slave trade made him an advocate of the Abolition. Newton spoke out about the evils of slave trade and had a big influence on many, particularly young William Wilberforce. One of the many things Newton wrote about in his letters was the discipline of joy in a Christian. He believes “every human is hardwired to thirst for abiding joy, these soul cravings can be satisfied only by the God who encoded those desires in us.” He said the joy he talks about isn’t the “flippant and circumstantial amusements of the world…but a blood-bought fountain of happiness, purchased by his (Christ) agonies…” and dependent on communion with God. He said the more we depend on Him, the more we love Him, hence the more our joy overflows. Newton on Christian Life by Tony Reinke is like a box of assorted chocolates – there is something for everyone. It contains Newton’s thoughts on topics like the nature of indwelling sin, the importance of trials, how to battle insecurity, overcoming spiritual weariness and much more. Newton writings are vivid and he uses lots of illustrations to make his point. He is indeed a gifted letter-writer. The book excels in letting Newton speak to us instead of overwhelming us with commentary. There are lots of direct quotes from Newton’s materials, which is helpful. The book seems very serious in tone and in the use of heavy, complicated language, but these are serious topics and Newton wrote in an age when formal language is used even on lighter topics. Newton on Christian Life by Tony Reinke deserves a place somewhere around your bedside, giving you something to nibble on as you seek the Lord in your sleeping and, or waking hours. 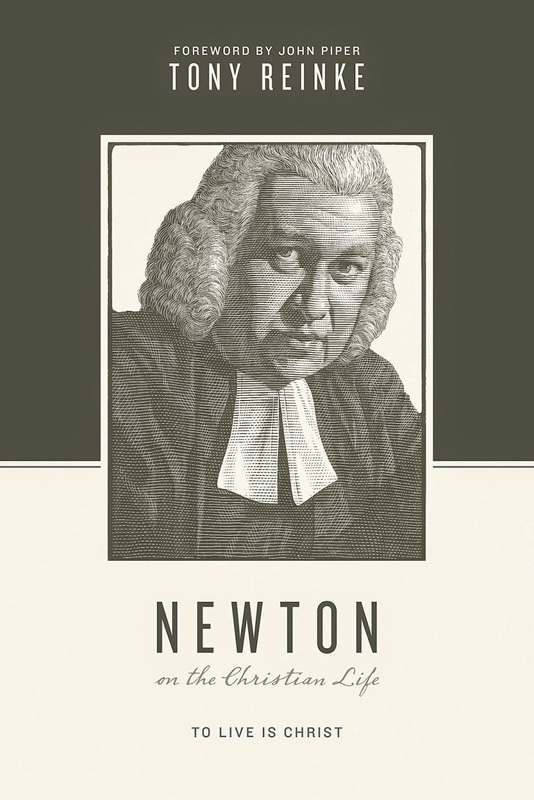 Newton on Christian Life is published by Crossway (31 May 2015). Book excerpt can be downloaded on their website. Many thanks to Crossway for review copy. All images are © to their respective owners.